The Turkish bakery trade fair IBATECH in Istanbul (17-20th of April 2008) was very well received by the audience. Aside from fully-automatic slim-dough systems for baklava and classic bread roll systems, visitors from south-eastern Europe and Asia focused on systems for deep-frozen topped pastries new to this particular market. With 70 million consumers, Turkey boasts high flour consumption at 10 million tons per year. The classic wheat-bread is increasingly complemented by higher-value special bread types, such as ciabatta and baguette. Consequently, multifunctional systems for special buns capable of handling pastry products (e.g. 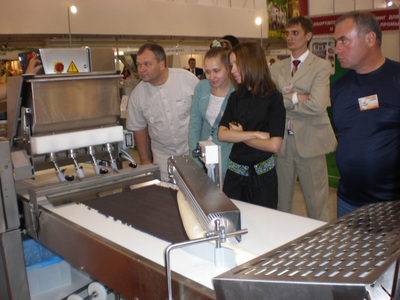 the MULTICUT and MULTILINE) were in great demand at the FRITSCH booth. According to Area Sales Manager Johannes Rustler, FRITSCH preeminently attracted representatives of the major Turkish bakers. 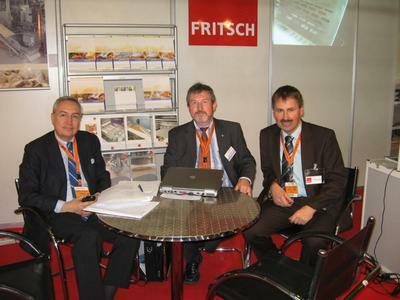 FRITSCH shared a booth with REIMELT.